Robert N. Stavins is the A. J. Meyer Professor of Energy & Economic Development at the Harvard Kennedy School, Director of the Harvard Environmental Economics Program, Director of Graduate Studies for the Doctoral Programs in Public Policy and Political Economy & Government, Co‑Chair of the Harvard Business School‑Kennedy School Joint Degree Programs, and Director of the Harvard Project on Climate Agreements. He is a University Fellow of Resources for the Future, a Research Associate of the National Bureau of Economic Research, Co-Editor of the Review of Environmental Economics and Policy and the Journal of Wine Economics, and a member of the Board of Directors of Resources for the Future and the Scientific Advisory Board of the Fondazione Eni Enrico Mattei. He is an elected Fellow of the Association of Environmental and Resource Economists. He was formerly Chairman of the Environmental Economics Advisory Committee of the U.S. Environmental Protection Agency’s Science Advisory Board. He has been a Lead Author of the Second, Third, and Fifth Assessment Reports of the Intergovernmental Panel on Climate Change. 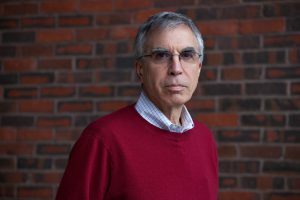 His research has focused on diverse areas of environmental economics and policy, and has appeared in leading economics, law, and policy journals, as well as a dozen books. He has been a consultant to the several Administrations, Members of Congress, environmental advocacy groups, the World Bank, the United Nations, state and national governments, and private foundations and firms. He holds a B.A. in philosophy from Northwestern University, an M.S. in agricultural economics from Cornell, and a Ph.D. in economics from Harvard.